As teachers, we pretty much give feedback all day long. We tell students how they can improve on assignments, we praise them for things they’re doing well, we correct their incorrect responses, and we redirect them when they behave in ways that aren’t helpful to learning. And that’s just the students. We also give feedback to our colleagues, although in most cases, these exchanges don’t happen as often or as freely as they probably should. We receive plenty of feedback as well, from our students, their parents, our administrators, and our peers. And we encourage our students to give feedback to each other, albeit with pretty uneven results. Really, the experience of school could be described as one long feedback session, where every day, people show up with the goal of improving, while other people tell them how to do it. And it doesn’t always go well. As we give and receive feedback, people get defensive. Feelings get hurt. Too often, the improvements we’re going for don’t happen, because the feedback isn’t given in a way that the receiver can embrace. 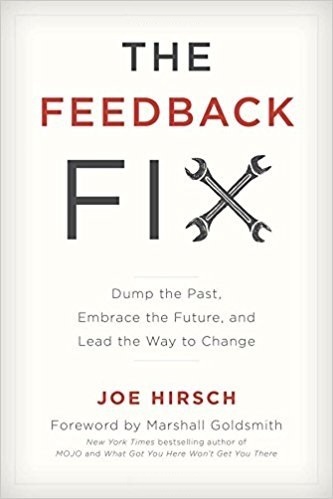 In this week’s podcast, I interview Joe Hirsch, author of The Feedback Fix: Dump the Past, Embrace the Future, and Lead the Way to Change. In the book, Joe digs deep into the practice of feedforward and shows us how and why it works. You can listen to our full conversation in the player above, read the full transcript, or stay right here—I’ll give you a quick overview. What’s Wrong with the Way We Give Feedback? When we give feedforward, instead of rating and judging a person’s performance in the past, we focus on their development in the future. Suppose my student is writing an essay. Instead of waiting until she is finished, then marking up all the errors and giving it a grade, I would read parts of the essay while she is writing it, point out things I’m noticing, and ask her questions to get her thinking about how she might improve it. In his book, Hirsch takes this broad concept of feedforward and defines six components of it, six specific characteristics of feedforward that make it so effective. He refers to these by the acronym REPAIR (regenerates, expands, particular, authentic, impact, refines). So when we notice that a student is developing a strength or an interest in an area, instead of just pointing that out, we might give the student an opportunity to enter their work in some kind of competition, publish it in some way, or share it with others in a presentation, rather than simply keeping it to themselves. This helps students see themselves in a new light and gets them thinking about ways they could grow. Effective feedback starts with what is and helps add to it, expanding what’s possible, rather than simply pointing out problems. In his book, Hirsch describes a concept used by Pixar studios called “plussing.” When Pixar’s creators get together to review a day’s work, they are expected to give each other feedback to improve the work. What makes these sessions so effective is one important rule: Participants can’t point out a problem without proposing an alternative, saying “What if?” to a problem. This concept of “plussing” could work wonders in staff or committee meetings: When we are discussing possible solutions to an issue, rather than shooting down ideas that might not work, we could add to them by making small tweaks. “That’s an interesting idea. What if we made this small change and tried that?” This technique would also work beautifully with project-based learning tasks, when students may need to come up with several ideas for solving a problem before arriving at the best solution. Far too often, feedback is given in an “information dump,” with lots of criteria being measured and reported on at the same time. This can be a pretty ineffective way to help people grow. “There’s a limit to how much we can absorb and operationalize in any given time,” Hirsch says. “Feedforward is really about picking your battlegrounds strategically and selectively.” He advises us to make feedback an ongoing process that is embedded in the day-to-day work, and to only focus on a few things at a time. So rather than wait until an assignment is done to point out all the ways a student can improve, find ways to give them specific pointers while they work, and only one thing at a time, so students can process and act on it right away. The problem with that approach, Hirsch explains, is what’s called the recency effect: People remember most the thing they heard last. So when you tack on some praise after delivering constructive feedback, the person doesn’t really absorb the critical part as well as they would if you’d just given it to them more directly. This approach could work with academic situations or classroom management problems: If you’re dealing with a student who is disrupting class, describe the behavior you’re seeing, explain why it’s a problem, then ask the student for ideas on how to solve it. It sounds really simple, but if what you’re doing right now isn’t giving you the results you want, it’s worth a try. One of the reasons people don’t make progress after receiving feedback is that they don’t necessarily know what to do with it. “If you want feedback to make an impact,” Hirsch notes, “you have to put it in terms that people can operationalize.” In his book, he cites studies showing that regular feedback doesn’t typically result in a transfer of new skills or habits, but when that feedback is combined with coaching, the transfer skyrockets to 95 percent. So if a student regularly forgets to bring materials to class, rather than simply telling him to change, help him make a specific plan for improvement. Ideally, that plan should have lots of small steps to make it achievable, and the student should take the lead in developing that plan. So rather than give feedback in a top-down, hierarchical model, open up more pathways for people to get feedback from their peers, even those whose jobs might on the surface have little in common with our own. In his book, Hirsch borrows a term from management circles known as “creative abrasion,” which is what happens when people with opposing views work on the same task together. Although it can result in more conflict, the contributions from different points of view usually produce a higher-quality product in the end. This idea can play out in a lot of educational settings: Instead of just having our department head observe our teaching, why not get feedback from someone who teaches a completely different subject? When students go to the same peers for feedback on their work, have them seek out the opinion of someone new, or consider getting the input of a group of students from a different class or grade level entirely. Learn more about Joe Hirsch on his website or visit his LinkedIn page. Teachers who read The Feedback Fix should also grab this free Discussion Guide for Teachers to help apply the book’s principles to your own work. Join my mailing list and get weekly tips, tools, and inspiration—in quick, bite-sized packages—all geared toward making your teaching more effective and fun. You’ll get access to our members-only library of free downloads, including 20 Ways to Cut Your Grading Time in Half, the e-booklet that has helped thousands of teachers save time on grading. Over 50,000 other teachers have already joined—come on in! You make a great case for good practice here. But I see it as just another name for formative feedback, which isn’t a new concept. What do you see as the difference, or how does feedforward include or build on formative feedback? As a school principal, I find myself tuning in more and more to your site because your focus on relevant topics is terrific. What struck me most about this blog post was “Hirsch recommends a more direct approach: Describe what’s happening, explain why it’s a problem, then prompt the person for a solution.” I like the focus on a solution based culture where teachers and administrators don’t just “dump” the feedback and leave but stay and collaborate on solutions. This willingness to spend the time to discuss and brainstorm can move the culture to dramatic improvement. I like the comment “Really, the experience of school could be described as one long feedback session, where every day, people show up with the goal of improving,” as it gets to the heart of the matter. Time is the ever-present obstacle, but the possibility of adjusting how we are spending it makes me think. This fits in quite well with several approaches that are popular in the UK – Assessment for Learning (rather than assessment for grading) or DIRT (dedicated improvement and reflection time) – because they all focus on giving students information to move forward. DIRT in particular gives students an immediate opportunity to improve their work (so in a way it did get marked before it was finished). I also have students go back through their assessed work to find their targets so they start with feedback as well. I am most interested in the feedforward approach as a way of dealing with colleagues – I can see that this would be really useful to have in mind when managing staff as well as during staff meetings! First off, thank you for your blog and podcast! I have benefitted much as a newer (in my second year) teacher from the quality content that you consistently produce. While listening to this podcast last night and this morning on the way to work, I thought of my own feedback habits and was challenged. I was also reminded of Reader’s Workshop and my conferring with students. Rather than going over a finished product, I know I should be focusing on the writing in progress. It’s challenging for sure, but I owe it to all 29 of my fourth-graders. Starting with our informational writing unit this week, I will focus on one aspect of a student’s writing at a time, using the strategies outlined in this episode. Hey, Shawn! I work with CoP — we’re so glad to hear how much you enjoy the site. If you get a chance, let us know how it’s going as you try out some strategies from this episode! We use Google Docs which let me easily post comments and paste in rubrics. Many students receive grades they don’t like the first time around, because I tailor the rubrics to look for specific things that we’re working on in class. A typical first-time-around grade will be something like 20%. My students will resubmit revised writing up to 6 times (so far). I scaffold my feedback. The first time is just the rubric so that the student can reread their work to figure out what needs “fixing.” Each time after, I get more specific. I’ll highlight a whole paragraph and comment that something in this paragraph needs some work. Next, I might identify what in the paragraph needs to be looked at (in-text citations, run-on sentences, etc.). THEN I might include a link to a Web page or short YouTube video that explains the concept (like hanging indent in the Works Cited page). I did a guest post on Kristy Louden’s blog about this: https://www.loudenclearblog.com/2017/08/25/using-gafe-delay-grade-guest-post-chris-miller/. There’s also a sample doc I use with pre-made comments with links that I use to copy and paste into my comments. I find that students learn more meaningfully with the scaffold feedback rather than having me identify each little problem so that they can just fix it without any searching. Thanks so much for sharing this process, Chris. I am a big believer in multiple submissions for writing pieces. I’m also with you on giving different kinds and levels of feedback at every stage. It’s so easy to get overwhelmed by too much feedback, so I really like your scaffolded approac. Thank you for posting this; I ran it across it from a Twitter retweet and seeing as this is our district priority right now, I felt that this was a really good thing for me to put into my learning bank. What I see with the list that he has identified up above with traditional feedback and feedforward approach run together almost simultaneously. For example, “You’re really great at XYZ, do you think you could help me with breaking down the steps you took to get to that point so I can help Teacher A?” I think you are giving them feedback and allowing them to feedforward. It was great to listen to and hear and I am glad that I had the opportunity to come across this. As an Instructional Coach, the FeedForward concept really promotes a growth mindset when working with staff and students. The idea of “plussing” would be beneficial when coaching a colleague. Through this concept, a results based environment would begin to cultivate solutions between a coach and a teacher where all are working together to find solutions and feel validated through the FeedForward process. 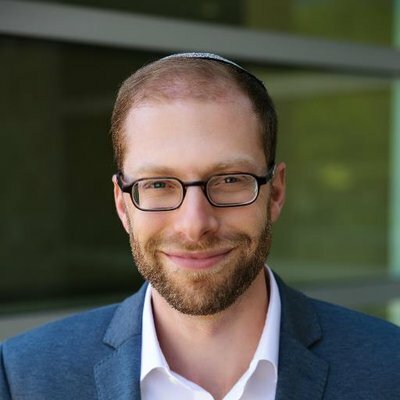 How might Joe respond to a reading of the Israeli parole board study that says it’s not at talk about decision fatigue, but it’s instead about hunger (as the study authors proposed and backed up)? Thanks for your comment. The two appear to be co-dependent – as a result of their physical strain (brought on, in part, by hunger), the judges were prone to fatigue. I’ve recently started following CoP and am enjoying the different articles and how they pertain to my day to day teaching. I chose this article because it ties in well with my own, learner-centered pedagogy and I wanted to see what you had to say on the topic. I believe that by giving individualized feed forward, learners can work to their highest challenge level. I love the term “regenerates talent” because I think that formative feedback helps the learner to identify their skills and they can build on them…. and teach others. I also really connected to the point on redefining group dynamics. By giving peer feed forward, my students are learning in a collaborative environment in which everyone is committed to the improvement of all. Very cool.